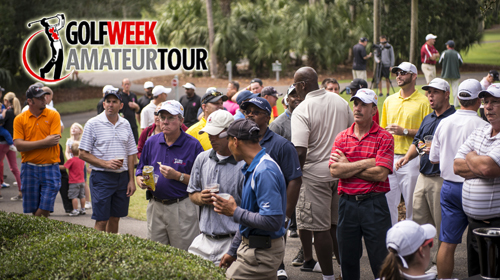 Over 140 players from the Orlando, Jacksonville and North Central Florida Golfweek & Senior Amateur Tours took to the two courses at the Mission Inn Resort on May 2-3. The weather couldn't have been better and the courses were in top condition for us. 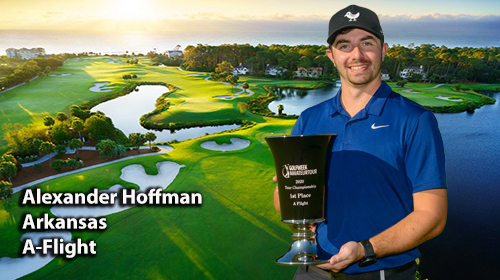 Each tour came away with at least two flight champions during the 36-hole, double points event. Seven of nine flights in the Orlando tour had new points leaders after the weekend. FX Lovett (NCF) scored an ace on El Campeon #8 on Saturday, so the weekend had a little bit of evrything. Congratulations FX! Alex Hargaden claimed the Championship flight with a 2-day total of 154. 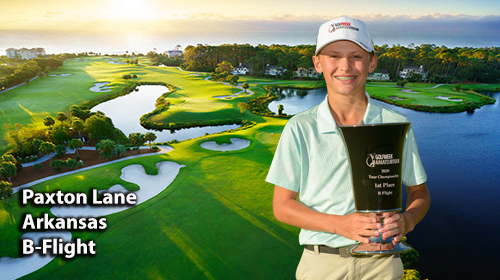 Starting Sunday tied with Craig Tomlinson (Jax) and Chad Frank (Orlando) after all three shot opening round 75's, Alex held on with a 79 to take the crystal trophy. Frank was second, 2 shots back (156). Tom Dillon (Orlando) and Tomlinson tied for third (Dillon won the scorecard playoff). In the Senior Championship flight, Johnn Ward (Orlando) shot back to back 81's to top Bill Foster (Orlando) by two. Foster posted rounds of 83-81. Jacksonville players ran 1-2 in A flight as Jay Starr took top honors with a two day todal of 168, beating fellow Jacksonville member Bill Rhiley (171) by three. Orlando's Eric Huffington (172) and Ryan Huisman (173) were right behind in third and fourth. In Senior A, Orlando's Ed Paterniti posted 173 after rounds of 84-89. He edged Gary Martinet (Orlando, 84-90-174) by a shot. Eric Kellough (Orlando) cruised to a ten stroke win in the B flight with 163. 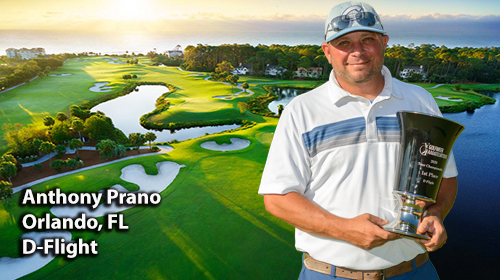 John Prano (Orlando, 173) grabbed the second place prize on a match of cards as he tied with Bill DeTorres (Orlando) and Keith Hudson (Jacksonville). 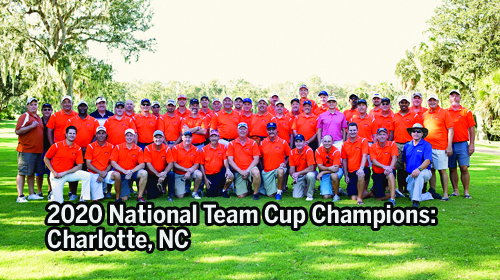 The North Central Tour took the top two spots in the Senior B flight. Mento Soponis (167) and Carl Miller (169) finished 1-2. Orlando's Bill DeTorres (173) was third and Mark Klenck (Orlando, 174) fourth. North Central Fla. Tour member Fred Turner took the top prize in C flight. 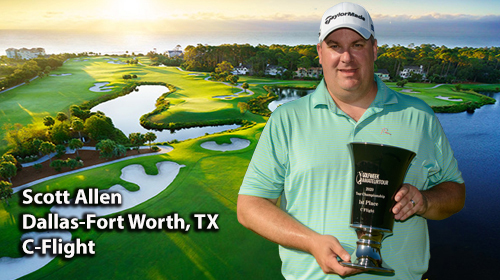 It took a playoff with Jay Freeman of Orlando to find a winner. 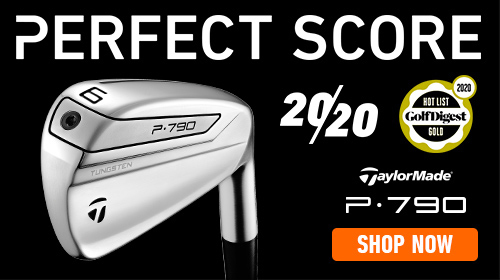 Both shot 2-day scores of 180 to force an extra hole. Three more Orlando players tied for third at 181--Michael Moore, Terry Lawson and Bill Robertson. Lawson also took home the Senior C victory with his 181. It was five better than John Pringle (186). Rick Whitman was third. Fred Turner (R) (NCF) Wins C Fiight Playoff At Mission Inn. The D flight belonged to Jacksonville's Mike Meadows (189). He beat George Ricardo (Orlando,192) by three strokes. NCF's James Dean was third on 196. Danny Monroe (NCF) was only 3 strokes off the lead after the first day but overslept and missed Sunday's tee time. NEXT EVENT: May 16 at Disney's Palm course, Orlando, FL.